Being genuinely disciplined requires that you develop the ability to take action. You don’t need to be too hasty, but you also don’t want to lose much time. The time to act is when the idea strikes us—when it is hot and the emotion is strong, before the feeling passes and the idea dims. If you don’t, you’ll fall prey to the law of diminishing intent. A month from now, the passion will be cold—a year from now, it won’t be found. The greatest value of discipline is self-worth, also known as self-esteem. Because once we sense a lack of discipline within ourselves, it starts to erode our psyche. One of the greatest temptations is to ease up just a little bit. Instead of doing your best, you allow yourself to do just a little less than your best. Sure enough, you’ve started, in the slightest way, to decrease your sense of self-worth. There is a problem with even a little bit of neglect. Neglect starts as an infection. If you don’t take care of it, it becomes a disease—and one neglect will lead to another. Once this has happened, how can you regain your self-respect? Start with the smallest discipline. Make the commitment: I will discipline myself to achieve my goals so that in the years ahead I can celebrate my successes. Jim Rohn, www.jimrohn.com, posted with permission. In my years teaching people to be successful, I have seen that people break their lives down into two major parts: wealth-building and the rest of their lives. Having done a lot of reflection on these two topics—wealth and life—I’ve come to some new conclusions about how to perceive the two. I used to think that there was a significant difference in how we should tackle the two areas. In fact, I thought the two topics should be addressed in almost opposite fashion.You see, wealth-building is just math. Whereas life—life is art. Think back with me to high school. Most of us were required to take math and most of us probably took art as well. Now, think about your final exams in the two areas. Your math paper was graded on hard facts: 10x10 is always 100, 7+7 is always 14, 50-25 is always 25; and so on and so forth). There is always just one answer in math. The answers are hard facts, set in stone. Math is a science. It is formulaic. You can know the outcome before it happens—every time. But what about your final art project? Art is much more subjective. "Beauty," they say, "is in the eye of the beholder." There is no one right answer. Think of the different styles of the famous artists: Renoir, Monet, Picasso, Rockwell, Warhol. Different people find different styles beautiful, and that is what makes art, art. If you add $1,000 to your retirement account each month and gain 7 percent interest over 20 years, you can know now how much you will have then. It is math. If you buy a rental property for $200,000 now and it increases in value by 3 percent a year, you know exactly how much you will be able to sell it for in 10 years. The beauty of math is in the knowing. You can work the system, set it on autopilot and the math does the work for you. You know the outcome. But life—life is art. And that is the beauty of it. You don’t know how it’s going to turn out. Life, like art, is always changing. Different people provide different colors. When you make a mistake, you can go back, erase it or even paint right over it. You can change the scenery. Life, like art, is ever evolving. What looks good to one person is of no interest to another. That’s what makes life beautiful. But life is about the art. What does your canvas look like? What kind of picture are you painting? What kind of pot are you creating? What kind of statue are you sculpting? Take your time, make bold strokes, use brilliant colors, and make your life the most beautiful masterpiece you can. Do your math so you can focus on your art. Here is a good question to ask yourself: Where are you going? Ten years from now you will surely arrive. The question is, where? We don't want to kid ourselves about where; we don't want to kid ourselves about the road we're walking. At 25, shortly after meeting my mentor Earl Shoaff, I had a day called "Do Not Kid Myself Anymore" day. I didn't want to be disillusioned anymore. I finally decided that the crossed-finger theory was not going to get me what I wanted. It wasn't where the treasure lies. I was going to have to make sure which way I was headed. Then, with Mr. Shoaff’s help, I found a few reading disciplines, a few disciplines of mind and a few disciplines of activity, when exercised, can make all the difference in the world as to where you will arrive. But it just took a few changes. Sometimes we get the idea that we're doing 10 percent and there's 90 percent more that we need to make the difference for our fortune, but probably the opposite is true. We're doing enough things to have bought and shared in the good life. And maybe all we need is that extra 5 or 10 percent of intellectual change, activity change, refinement of discipline, refinement of thought. And all we need is the ideas to make those simple changes and the equity starts gathering in one year, three years, five years or 10 years. But now is the time to fix the next 10 years. You may have to come to grips with reality and with truth; that's what was good for me when I met Mr. Shoaff. I was 25 years old; he was 44 years old. He brought me a wealth of experience and he started asking me the tough questions. "Big question," he said. "Are you reading the books that are going to take you where you want to go in the next five years?" Excellent question. To get to where you want to be in the next five years, you are either reading the right books or you're not. You're either engaged in the disciplines or you're not. But here's what we don't want to engage in: disillusion. Hoping without acting. Wishing without doing. The key is to look and say, "Where am I? What could I do to make the changes to ensure that I can take more certain daily steps toward the treasure I want, the mental treasure, the personal treasure, the spiritual treasure, the financial treasure? I don't want to make any more errors, now's the time to adjust my daily program to take me where I want to go." The key is to start right now making these changes to walk this new road. Just a few daily disciplines makes a great deal of difference. And before you know it, you will be walking a brand new road. Here's the great challenge of life: You can have more than you've got because you can become more than you are. However, you can have more because you can become more. You see, here is how the other side of the coin reads: Unless you change how you are, you will always have what you've got. The major thing that makes the difference is what you do—it is the human effort that counts. Unless you change, it won't change. Amazingly, however, when we throw out our blame list and start becoming more ourselves, the difference is everything else will begin to change around us. What is the origin of true ambition? There exists really only one place to find true ambition, and that is within you—in every thought, in every movement, in every motivation. Your ambition is an expression of who you truly are, your own self-expression. Ambition says, I know who I am and I know where I want to go. I'm accumulating knowledge and experiences and feelings and philosophies that will help prepare me for opportunities that I know will show up without notice or any help on my part. Because you know where you want to go, you have already been working on the parts of your personality that will make you better. Working on your attitude, working on your health, working on your time management skills. Putting it all down on paper. And you constantly see yourself in the place you want to be, going in the direction you want to go. Direction determines destination. So here is a question you must ask yourself: Are all the disciplines that I'm currently engaged in taking me where I want to go? 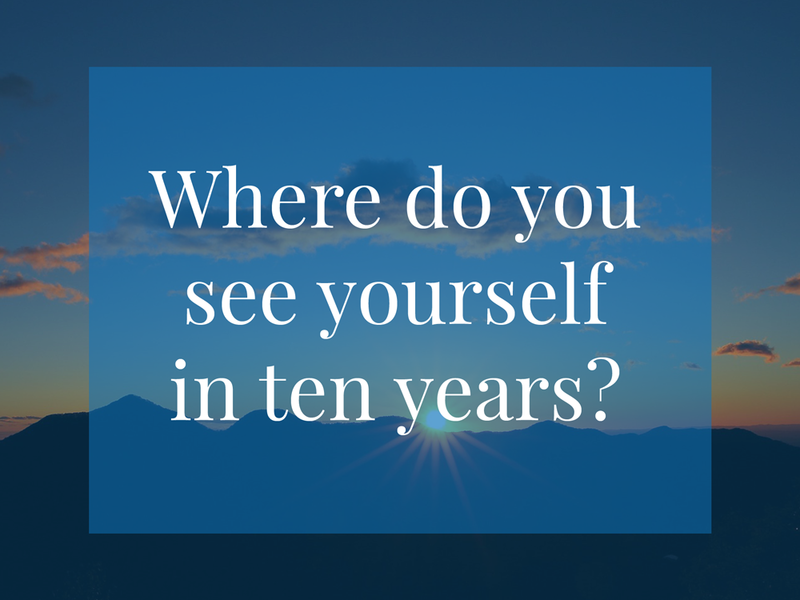 What an important question to ask yourself at the beginning of the month, the beginning of the week, the beginning of the day. Don't kid yourself—fingers crossed—hoping you will arrive at a good destination when you're not even headed that way. You have to ask yourself often, AM I?Am I doing the disciplines that are taking me in the direction I want to go? Don't neglect to ask these important questions, questions that help determine your direction, the set of your sail, your destination. Is this the direction I want for my life? Is this someone else's direction? Is this a goal I have been ingrained with since my childhood? Is this goal my parent's, my spouse's, my boss's, my children's—or is it MINE? Ask yourself these questions and then debate them. After you have answered these questions within yourself, then take it one step further and ask, What am I doing that is working or not working? Debate it all. Work with your mind to figure out the best possible direction for you—your self-direction. And then ambitiously pursue your own self-direction. Let the power of your own ambition take you where you want to go, to do what you want to do, to create the life you want to live. Stop looking at other people who live the good life, commit to your improvement—and let it be you. Time is a treasure—the time you set aside not to be wasted, not to be given away. The time you set aside to be invested in something that brings value to the marketplace with the hope of making a profit, that’s capital time. How valuable is time? Time properly invested is worth a fortune; time wasted can be devastation. Time invested can perform miracles—so invest yours. My friend and mentor Bill Bailey went to Chicago as a teenager after he got out of high school. And the first job he got was as a night janitor. Someone said, "Bill, why would you settle for night janitor?" He said, "Malnutrition." His first job might have been night janitor, but he went on to receive the Horatio Alger award and become rich and powerful—one of the great examples of lifestyle that I know. Desperation can be a powerful incentive when you say I must. You work at whatever you can possibly get when you get hungry. You go to work somewhere—it doesn't matter where. I have another friend, Lydia, whose first major investment in her new enterprise was also desperation. She needed to feed her kids—so she invested $1 in something she believed in. That $1 was used to buy a few flyers so she could make a sale at retail, collect the money and then buy the product wholesale to deliver back to the customer. First Lydia said, "I must find a customer”—desperation. Second she said, "I will find someone before this first day is over"—determination. And sure enough, she found someone. Determination says I will. If you've only got $1 and a lot of courage, you've got a good future ahead of you. Because humans can do the most incredible things no matter what happens—courage in spite of, not because of, circumstances. With courage, Lydia made three or four more sales. And once she got going, ambition took over. She thought, If I can sell three, I can sell 33. If I can sell 33, I can sell 103. Lydia was dazzled by her own dreams of the future. At this point, Lydia began to believe she had a good product, a good company. And then she started to believe in herself—Lydia, a single mother, two kids, no job. My gosh, I'm going to pull it off! Her self-esteem started to soar. Faith is an investment that cannot be matched. Money can't touch it. What if you had a million dollars and no faith? You'd be poor. You wouldn't be rich. The reason Lydia is a millionaire today is because of her ingenuity—she put her brains to work. Probably up until now, you've put about 1/10 of your brainpower to work. What if you employed the other 9/10? You can't believe what can happen. Humans can come up with the most intriguing things to do. What's ingenuity worth? A fortune. All you need is a $1 and plenty of ingenuity. Figuring out a way to make it work, make it work, make it work. Heart and soul is like the unseen magic that moves people—moves people to make decisions, moves people to act, moves people to respond. What is a substitute for heart and soul? It's not money, because heart and soul is more valuable than a million dollars. A million dollars without heart and soul? You have no life. You are ineffective. My mentor Bill Bailey taught me, "You've got to learn to be just as comfortable, Mr. Rohn, whether it is in a little shack in Kentucky having a beer and watching the fights with my friend Winfred, or in a Georgian mansion in Washington, D.C., as the senator's guest." You've got plenty of personality. You've just got to spruce up and sharpen up it, develop it to where it is effective every day, at home anywhere, no matter who you talk to—whether it is a child or a businessperson, a rich person or a poor person. It makes no difference to you who is rich or who is poor. It’s about the chance to have a unique relationship with whomever. Have the kind of personality that's comfortable, the kind of personality that's never bent out of shape. Move with ease, with charisma and sophistication and humility. With $1 and this list, the world is yours. It belongs to you, whatever piece of it you desire, whatever development you wish for your life. It’s the kind of capital that is more valuable than money and that can secure your future and fortune. Remember that you lack not the resources. The kind of capital that is worth more than dollars and that can secure your future and fortune. We all have two choices: We can make a living or we can design a life. Here’s how to do the latter. The most important benefit of setting goals isn’t achieving your goal; it’s what you do and the person you become in order to achieve your goal that’s the real benefit. Goal-setting is powerful because it provides focus. It shapes our dreams. It gives us the ability to hone in on the exact actions we need to perform to achieve everything we desire in life. Goals are great because they cause us to stretch and grow in ways that we never have before. In order to reach our goals, we must become better. Life is designed in such a way that we look long-term and live short-term. We dream for the future and live in the present. Unfortunately, the present can produce many difficult obstacles. But setting goals provides long-term vision in our lives. We all need powerful, long-range goals to help us get past those short-term obstacles. Fortunately, the more powerful our goals are, the more we’ll be able to act on and guarantee that they will actually come to pass. The only way we can reasonably decide what we want in the future and how we’ll get there is to know where we are right now and what our current level of satisfaction is. So first, take some time to think through and write down your current situation; then ask this question on each key point: Is that OK? The purpose of evaluation is twofold. First, it gives you an objective way to look at your accomplishments and your pursuit of the vision you have for life. Secondly, it shows you where you are so you can determine where you need to go. Evaluation gives you a baseline to work from. Take a couple of hours this week to evaluate and reflect. See where you are and write it down so that as the months progress and you continue a regular time of evaluation and reflection, you will see just how much ground you’re gaining—and that will be exciting! One of the amazing things we have been given as humans is the unquenchable desire to have dreams of a better life and the ability to establish and set goals to live out those dreams. We can look deep within our hearts and dream of a better situation for ourselves and our families. We can dream of better financial, emotional, spiritual or physical lives. We have also been given the ability to not only dream, but pursue those dreams—and not just pursue them, but the cognitive ability to lay out a plan and strategies to achieve those dreams. Powerful! Take time to be quiet. This is something that we don’t do enough of in this busy world of ours. We rush, rush, rush, and we’re constantly listening to noise all around us. The human heart was meant for times of quiet—to peer deep within. It is when we do this that our hearts are set free to soar and take flight on the wings of our own dreams. Schedule some quiet “dream time” this week. No other people. No cellphone. No computer. Just you, a pad, a pen and your thoughts. Write down all of your dreams as you have them. Don’t think of any as too outlandish or foolish—remember—you’re dreaming! Let the thoughts fly and take careful record. Now, prioritize those dreams. Which are most important? Which are most feasible? Which would you love to do the most? Put them in the order in which you will actually try to attain them. Remember, we are always moving toward action—not just dreaming. The acronym S.M.A.R.T. means Specific, Measurable, Attainable, Realistic and Time-sensitive. Measurable: Always set goals that are measurable. I would say “specifically measurable” to take into account our principle of being specific. Realistic: The root word of realistic is “real.” A goal has to be something that we can reasonably make “real” or a “reality” in our lives. There are some goals that are simply not realistic. You have to be able to say, even if it is a tremendously stretching goal, that yes, indeed, it is entirely realistic—that you could make it. You may even have to say that it will take x, y and z to do it, but if those happen, then it can be done. This is in no way to say it shouldn’t be a big goal, but it must be realistic. Time: Every goal should have a timeframe attached to it. One of the powerful aspects of a great goal is that it has an end—a time in which you are shooting to accomplish it. As time goes by, you work on it because you don’t want to get behind, and you work diligently because you want to meet the deadline. You may even have to break down a big goal into different parts of measurement and timeframes—that is OK. Set smaller goals and work them out in their own time. A S.M.A.R.T. goal has a timeline. When someone knows what your goals are, they hold you accountable by asking you to “give an account” of where you are in the process of achieving that goal. Accountability puts some teeth into the process. If a goal is set and only one person knows it, does it really have any power? Many times, no. A goal isn’t as powerful if you don’t have one or more people who can hold you accountable to it. 1. Take time to be quiet. This is something that we don't do enough in this busy world of ours. We rush, rush, rush, and we are constantly listening to noise all around us. The human heart was meant for times of quiet—to peer deep within. It is when we do this that our hearts are set free to soar and take flight on the wings of our own dreams. Schedule some quiet “dream time” this week. No other people. No cell phone. No computer. Just you, a pad of paper, a pen and your thoughts. 3. Write down all of your dreams as you have them. Don't think of any as too outlandish or foolish—remember, you're dreaming. Let the thoughts fly and take careful record. 4. Prioritize those dreams. Which are most important? Which are most feasible? Which would you love to do the most? Put them in the order in which you will actually try to attain them. We are always moving toward action; we are not just dreaming. Life is short, and someday your life will near its end and all you’ll be able to do is look backwards. You can reflect with joy or regret. Those who dream—who set goals, who act on them to live out their dreams—live lives of joy and have a sense of peace when they near the end of their lives. They have finished well, for themselves and for their families. This excerpt comes from Jim Rohn’s One-Year Success Plan, available at JimRohn.com. By focusing on a new pillar of success each month, you will be empowered to grow and transform yourself.